Home » Oculus Go vs Mirage Solo – Which is Better? Two new virtual reality headsets on the market are the Oculus Go and the Mirage Solo. But which one is better? Both systems are advertised as standalone VR, not requiring additional equipment. 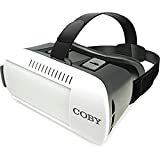 The Oculus Go 64Gbyte version is retailing on Amazon for $249.00, while the Mirage Solo is $369.99. Does more expensive mean better? Not necessarily. The Oculus Go has an average rating of 4.0 out of 5 stars, but the Mirage Solo only rates 3.8 out of 5. There seem to be a few important differences between the two products. The Oculus Go has 57% five-star reviews, while the Mirage Solo only has 38% of the reviews rated five stars. Multiple reviewers complained about the camera on the Solo being hard to deal with, and one reviewer complained that it slid forward on his head, causing the screen to blur. However, one reviewer said the Mirage Solo had better resolution than the Oculus Rift. The Oculus Go has been said to be either inferior to the Rift, but better for the price or just as good as the Rift. Reviewers of the Oculus Go rave about how comfortable it is, while users of the Mirage Solo tend to complain about the device being too heavy and causing neck pain. There are mixed reviews about the picture quality of the Oculus Go – some say it is better than other VR headsets, while others complain of blurriness. The difference in experience could lie in the interpupillary distance. A couple of reviewers claim that the Oculus Go is less suitable for people with a wider IPD. This very well might be true, so if you have a wide IPD, you may experience eye strain with the Oculus Go. One reviewer compared the Oculus Go to the Mirage Solo and came out heavily in favor of the Go. The Mirage Solo is advertised to be wireless but requires the use of earbuds, as it has no speakers of its own. Additionally, many people complain about the Solo having bad controls that are not very user-friendly, and being poorly designed in general. However, another reviewer assessed the two VR systems as approximately equal, detailing the advantages and disadvantages on both sides. In the Oculus Go vs Mirage Solo debate, the Oculus Go seems to be a very good value for the price, so when you take both price and quality into consideration, the Oculus Go is the better choice. 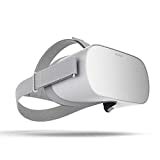 Check out the Oculus Go and the Mirage Solo at Amazon.com to pick them up for the best prices and qualify for Prime shipping.